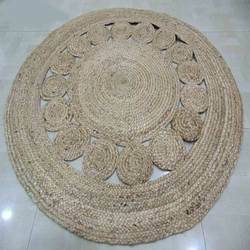 - Jute rugs are made entirely without chemicals, and their beautiful color tones are all obtained naturally. 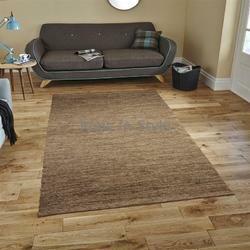 - Unlike cotton rugs, jute rugs are also incredibly durable and will last for years to come. With enriched industrial experience, we have been able to offer a wide spectrum of Handmade Promotional Rug. Description:These hand made rugs are embellished with motifs of leaves to manifold the decor of floor and delight the eyes of everyone. We offer variety of floor rugs to clients, depending on their requirement and prevailing industry trends. These hardware products are procured from trusted and reliable manufacturers in the industry that guarantee their quality. We can also offer these rugs as per the requirement of the client within shortest delivery period and at the most affordable prices. It's a Beautiful Hand Loomed Vintage Sari Rugs made by Vintage Sari.